In some regions of the world, tea plucking is only done by women, while men are responsible for other jobs. It’s the case in India and central Sri Lanka, where men employed on the plantations tend the soil and prune the tea plants. Some people will tell you the reason for this is probably that women are more nimble-fingered and take better care of the fragile and precious leaves. 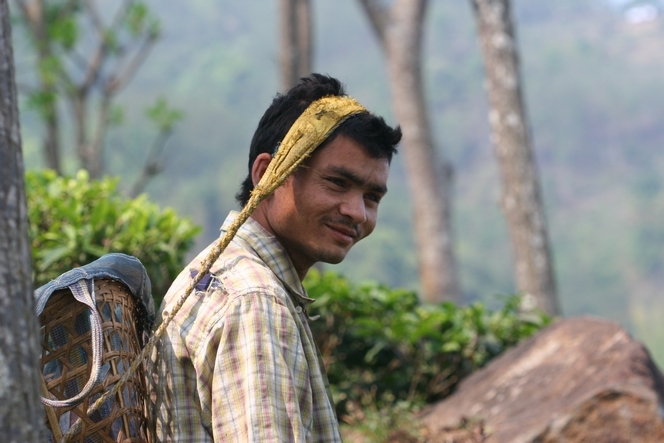 But most of the time, like here in the north of Ilam Valley, eastern Nepal, opposite Darjeeling accross the border, the village men and women do the same tasks, including tea plucking. It is also the case in China and Taiwan. And in Japan, it is not rare to see a man carefully plucking the tea leaves and a woman behind the wheel of a tractor. Is there really a reason for these practices? Well, let’s say that where the British used to be and where there are large tea plantations, the roles of men and women are different and the work is not always shared out in a way that seems fairest to us. DHI is in the process of exploring the possibility of establishing the first ever tea estate in the Kingdom of Bhutan.